Every month of the year Davies & Associates assists multiple businesses from every metropolitan market in India to both establish and expand their US presence in the United States. We assist our clients with short and long-term strategies to bring owners and key employees to the United States. Because we work with clients in multiple industries across India we understand the unique issues facing Indian clients. We are also able to help orient you to doing business in the United States and to the applicable visa options available. At Davies & Associates we work to devise individualized strategies for every client. Our client care and quality processes dictate that we identify client needs and form a team of experts specific to each client. We do not utilize paralegals and every client has multiple dedicated and experienced immigration and corporate lawyer assigned to their case. Our lawyers visit our clients in India while providing the needed work product in the United States. Unfortunately this is not “standard” procedure in the immigration industry. How Successful is Davies & Associates? As of the date of the preparation of these materials in July 2015, no L visa case filed for an Indian national by our firm has ever been denied. In fact, no visa case we have filed on behalf of an Indian client has ever been denied. Our strategy is to present every case as optimally as possible, no exceptions. Can I use an L Visa to Open and Operate a New Business in the United States? Yes, under certain circumstances the owner of an Indian business can use an L visa to open and operate a new business in the United States. A business that has operated for less that twelve months is likely to be be subjected to the “ New Office Rules ”. What are the “ New Office Rules ”? A description of the “New Office Rules” can be found by clicking here. 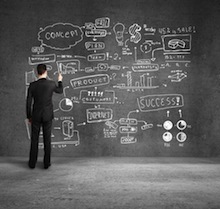 Is a Business Plan Really Important? Unless you are a very established or multinational business that can produce US tax returns a properly prepared business plan is completely critical. USCIS have confirmed this on a number of occasions. A guide to business plan preparation can be found be clicking on this link. Does my New Business Have to be in the Same Industry as my Indian Business? While your US business does NOT have to be in the same industry as your Indian business it must be “Related” to your Indian business. Under US law a “Related” business is one that is either a “subsidiary”, “branch” or “affiliate” of your Indian business. Generally these concepts are associated with the ownership structure of your business, not the industry it serves. That said, US Immigration will thoroughly examine your business and it is extremely helpful to be able to show some logical connection between the US a non-US business. While the choice of how to relate entities can be of lesser consequence from an immigration perspective this choice can have ENORMOUS consequences for Indian clients from a taxation perspective and proper tax guidance is strongly advised. Our firm can guide you through these considerations. Can I Bring Employees from India to the United States? While managers and executives typically move to the United States on an L1-A visa, employees with specialist knowledge may be eligible for an L1-B visa. Davies & Associates have successfully petitioned for both L1-B and L1-A visas and always advise clients of strategic and other important differences and considerations when choosing between the two visa types. This choice needs to be part of your long-term US visa and immigration strategy. The spouse of an L-1 visa holder is generally free to work to obtain a visa allowing them to work in the United States. Please contact our office for further details. How is Davies & Associate’s Approach to Business Plans Different? We believe that a successful business plan needs to be prepared as a collaborative effort between the client, an immigration lawyer and an immigration business plan analyst. Our specialist team that provides US business expansion services incorporates both business analysts and lawyers. We believe we are unique in this approach. Click here to find out more about Immigration Business Plans. Why Does Each Davies & Associates Client Have an Individualized Client Team? 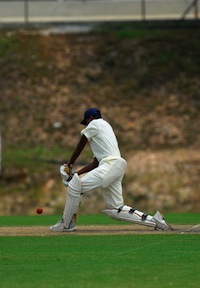 Through the process we ensure that each client has a team with the precise skills needed to address their exact needs. Our client teams typically include an american business visa lawyer who is experienced assisting Indian businesses, an international tax lawyer and a corporate lawyer familiar with the client’s specific industry. While we believe that there is no “one solution” and that every case is different the lack of availability of E-2 and other visa options for Indian nationals often means that L-1A visas feature in an Indian clients’ visa strategies. 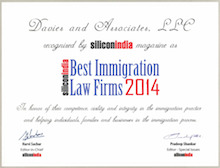 How Does Davies & Associates Differ from Other Indian L1 Visa Services? Indian consultants and advisors are not licensed US Immigration lawyers and are not authorized by the US government to offer immigration advice. Indian consultants are not familiar with the detailed provisions of US immigration law and regulations and cannot advise you on them. Our firm has experience of a number of cases where a client has used an Indian consultant with links to a US firm only to have their case denied owing to major errors and omissions in the application process. A US lawyer has been through years of training and is professionally licensed to offer you immigration advice. US Immigration Lawyers are also members of a professional bar association for immigration lawyer, the American Immigration Lawyers’ Association. US lawyers are also under an obligation to stay up-to-date on procedural and other changes. If a licensed US business visa lawyer provides you with bad advice or poor service you may have redress against them in the United States, there are no protections with Indian consultants and advisors who often make disastrous mistakes because they have no formal US legal training. We strive to distinguish ourselves based on quality and service. 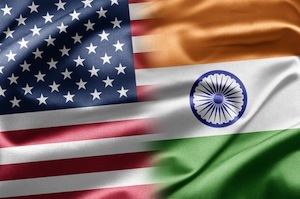 Unlike most US immigration firms our senior lawyers frequently visit our clients in India, this step is critical in understanding your business so it can be properly presented to the US government. In our experience L visas are frequently denied when filed by law firms who have no real understanding of a client’s business and do not heavily participate in the preparation of a business plan. We want to ensure that you have a seamless and efficient move to the US. For that reason we engage a team of experts who can assist you with everything needed to establish yourself in the United States. Most US immigration firms do not have specialist business plan teams and international tax experts to assist you.